Last term our no.10 predominantly played on the left, but was moved more central towards the end of the campaign and with Mo Salah signed this summer, he’s likely to continue ‘in the middle’ during 2017/18. Klopp though doesn’t want to put a label on this and has explained that versatility during games and the ability to react to various situations positionally and tactically is key. “He is not fixed and he should not be fixed,” he told the Echo. “Look against Leicester. Gini (Wijnaldum) and Hendo couldn’t play together because we have these two players for the No 6 at the moment. Either one or the other. “Then with Adam (Lallana) and Phil and Gini it was really offensive. We need to have these different options. “Systems are not that important. They are important of course but not as much if you can play different systems. You can play every system that you know, as long as they make sense. This at the moment is how we have to work with the players. “So it makes for us the most sense like this and Phil can play every day in about five positions – in all these different systems. It’s cool. You have to do the right thing at the right moment. 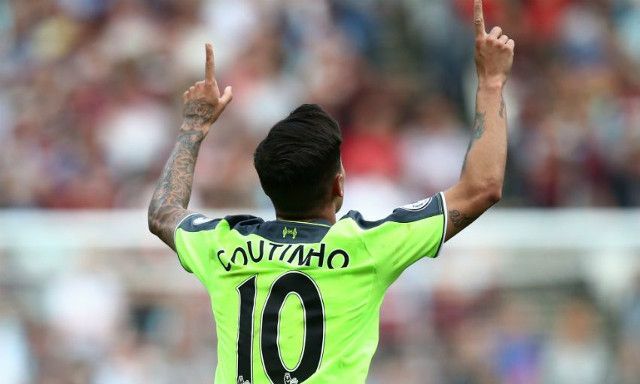 Coutinho has already shone this pre-season and fans cannot wait to see him in action this coming campaign. It genuinely feels like he’s very close to becoming a truly world-class operator and Liverpool’s challenge in many ways is getting to a level where Phil feels he can achieve what he needs to at Anfield. Barcelona want him desperately, but Liverpool will not sell him this summer for any money in the world.